Name brand products including domestically manufactured as well as the finest imports. 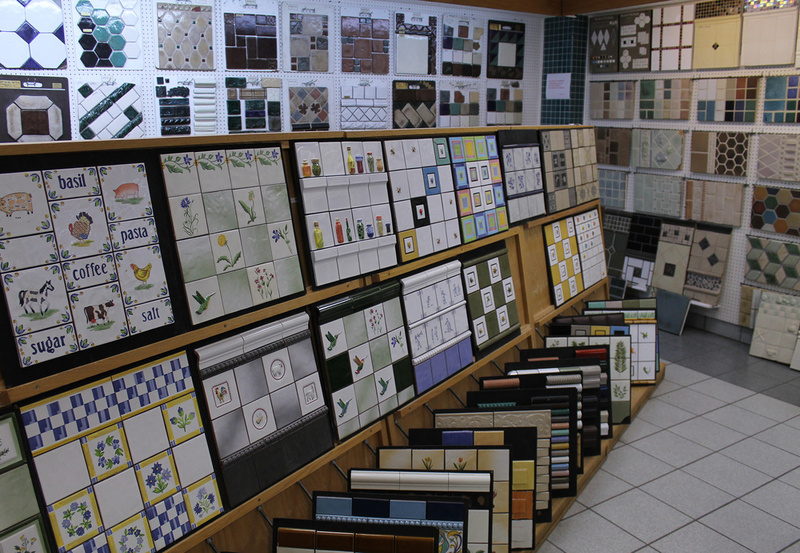 Specializing in ceramic and porcelain tile, but also natural stone, slate, granite, marble, glass and stone mosaics, hardwood flooring, cork and bamboo flooring. Large Sizes (from 12x12 to 20x20) for both floors and walls. Small sizes (from 1/2 x 1/2, 1x1's, 2x2's, up to 4x4's and 6x6's) for use on countertops, backsplashes, shower floors, and decorative inserts. Deco's and Listello's including marble, granite, glass, and ceramic for decorative uses including framing, borders, and accent areas.